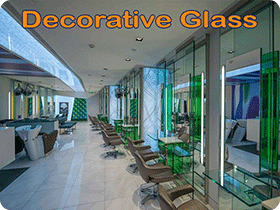 Willach belongs to the leading pro-ducers of glass fittings in Europe. The manufacture of products to the highest quality and precision stan-dards has been the supreme dictum of the company since its establish-ment in 1889. Numerous technical innovations and telligent solutions with attention to detail meant that Willach was able to build up its pioneering reputation at an early stage. 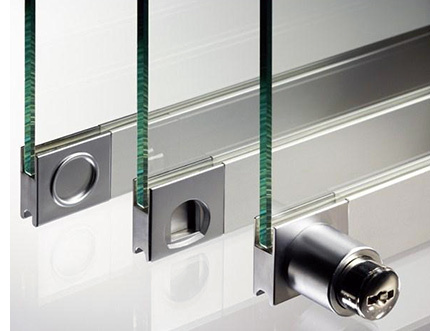 With the Vitris product line, Willach today offers a comprehen-sive system of high quality glass door fittings, sliding door locks and slot bar systems for discerning in-terior, shop and trade show furnish-ings. 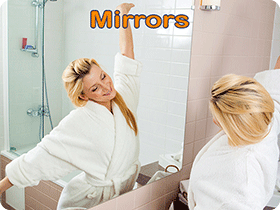 Vitris is the solution for all situat-ions in which glass requires the perfect frame. 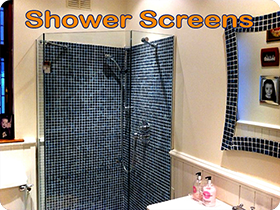 It is a complete range consisting of profiles, fittings and locks for interior, showcase, shop or trade show furnishings. 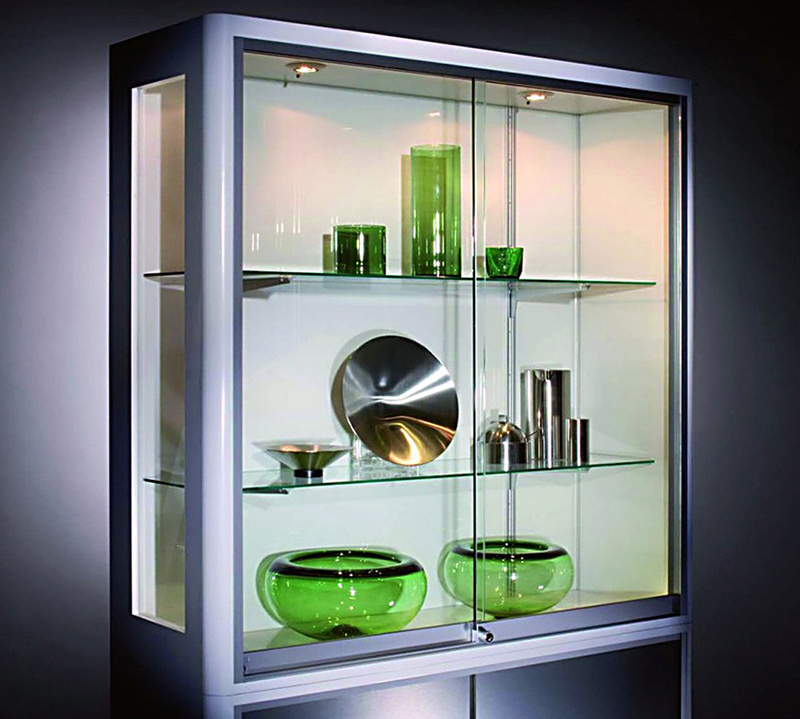 All system components are precisely coordinated and allow for many different combinations to take account of the greatest variety of dimensions and glass thicknesses. 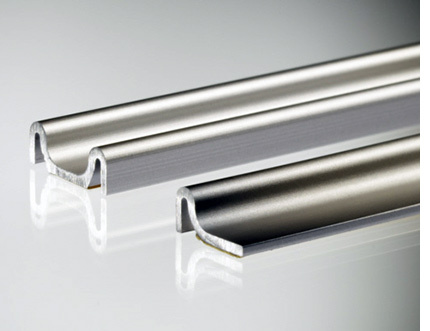 Innovative solutions with regard to details such as the screwless roller assembly or the integrated damping device are unique. 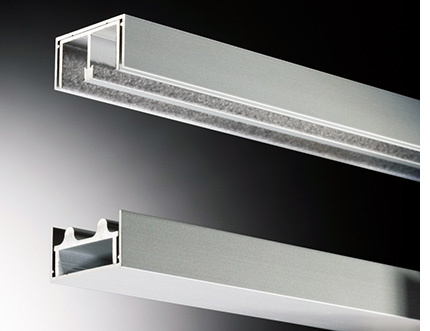 Vitris is the modular fittings system to meet the most demanding requirements as regards long-lasting function, aesthetic design, high security and trouble-free assembly. 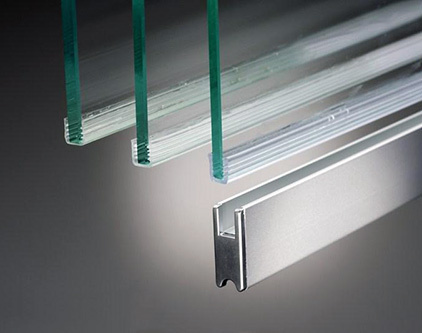 Glass thicknesses from 4 to 12 mm. 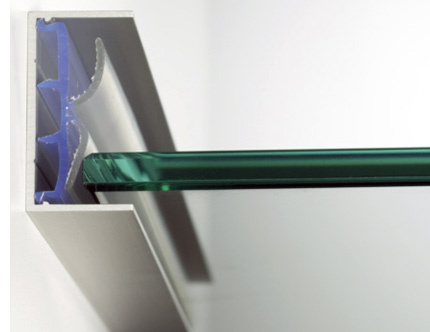 The modular principle is consistently applied throughout the whole of the Vitris range: fittings can be used universally for a variety of glass thicknesses from 4 to 12 mm. Lock, adapter and finger pull handle. The size and look of locks, adapters and finger pull handles have been coordinated with the profiles and other fittings components, thus producing a convincing and complete solution. Roller technology Vitris roller assembly in a single-unit spring steel housing for precise centring, self-alignment in the housing and extremely quiet running action. Non-wearing flocking The high quality flocking, applied by machine, guarantees a high degree of wear resistance and a long-lasting quiet running action. 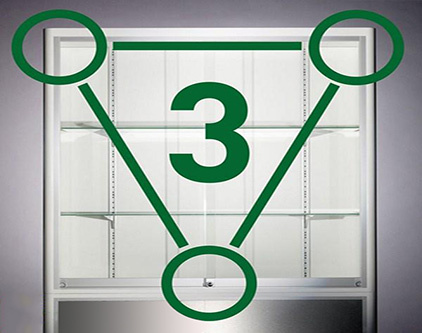 The 3-point security for showcases (Secura lock • damping/anti-theft device • top twin-guide) prevents vertical lifting and horizontal pushing apart of the sashes. 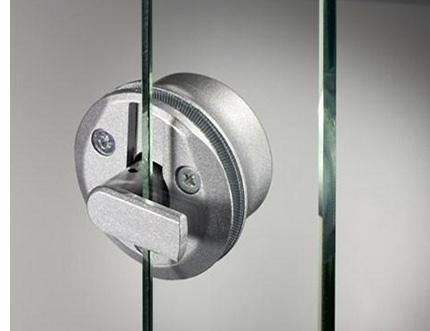 The patented dead bolt mecha-nism prevents the sliding door sections from being pushed apart. Vitris mounting tool for roller assembly. 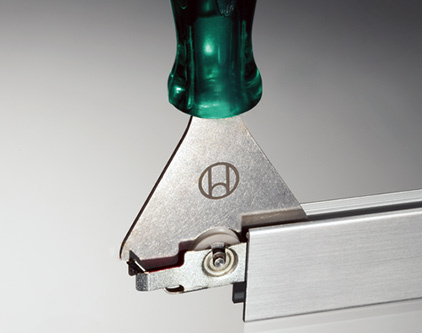 The Vitris mounting tool for roller assembly enables instant and clean assembly without the need for screws. 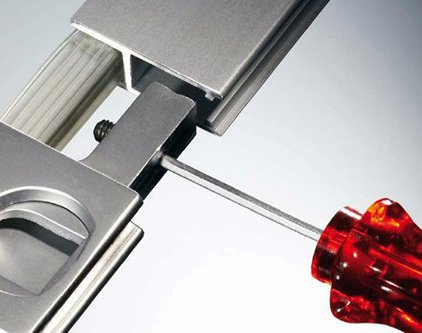 The Allen key allows a fast and simple assembly of locks, adapters and handles. 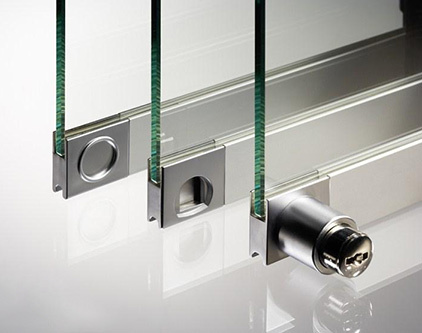 Supra is a universally usable sliding fittings system for glass thick-nesses of 4, 5, 6 and 8 mm. 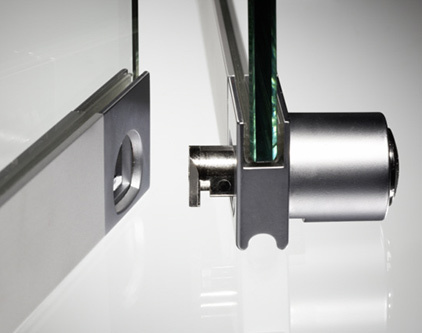 The high quality flocking of the top twin-guides, the superior roller techno-logy, the secure combination of glass and metal through trans-parent plastic bedding profiles as well as the invisibly integrated damping and anti-theft devices provide for the perfect, long-lasting, easy and quiet functioning of the glass sliding doors. 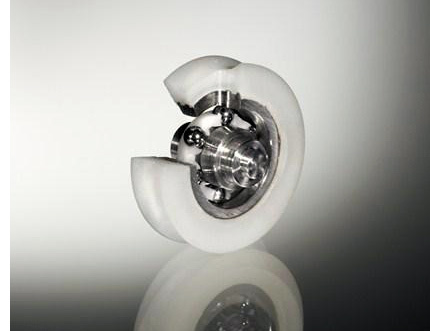 Endurance tests undertaken by Willach demonstrate the superiority of this roller techno-logy in comparison to conventional rollers: even after 40,000 sash movements there was no recognis-able or noticeable wear. 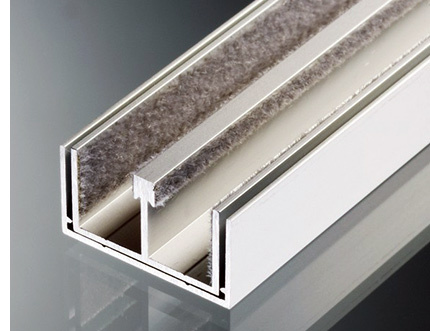 Dust protection and damper profile. 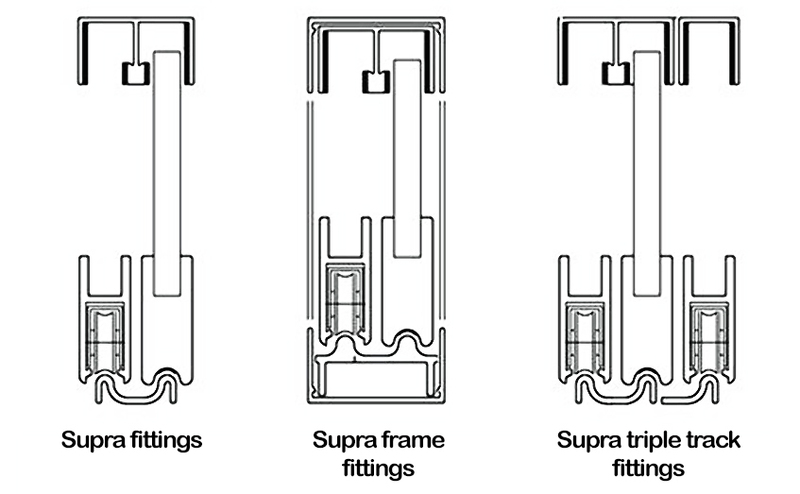 The Supra frame profile sections enable the flush assembly of the sash and runner section. 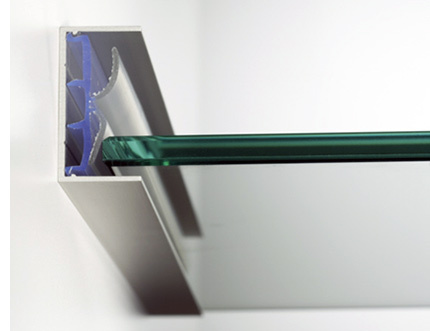 The dust pro-tection and damper profile forms an optimum buffer zone be-tween glass and metal and ensure that no dust can get in. 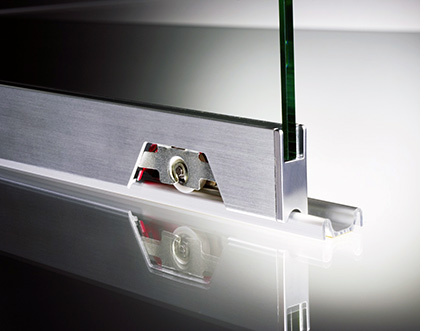 Supra roller technology permits a load of up to 25 kg with 2 rollers and up to 50 kg with 4 rollers (result of endurance tests at the Willach sliding door test facility). 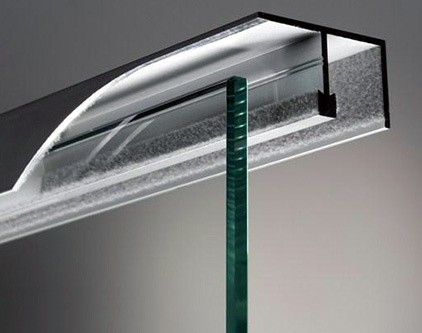 Non-wearing flocking provides for long-lasting quiet running action and prevents "rattling" of the glass sliding doors. 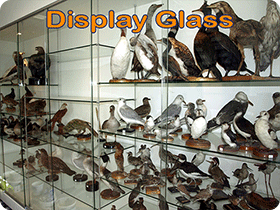 Supra frames allow for visually convincing solutions. 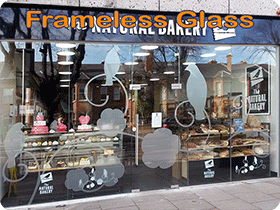 Two additional components enable all- round frame designs possible. 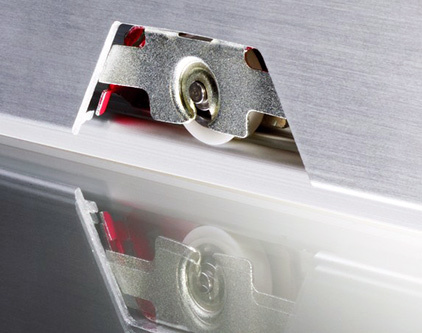 Fast assembly Double-sided self-adhesive strips on Supra bottom tracks enable fast assembly without unwanted screw. 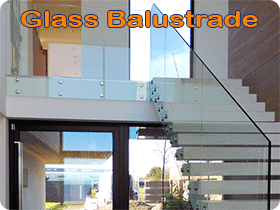 Single and twin bottom tracks allow for single or multiple sash designs. 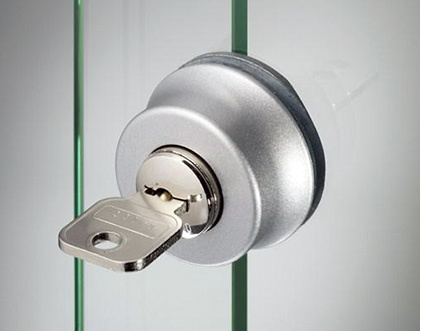 Secura is a high security cylinder lock for glass sliding doors. Its patented design provides maximum security and protection against manipulation: no horizontal pushing apart, no pushing out and no lifting of the sashes anymore. 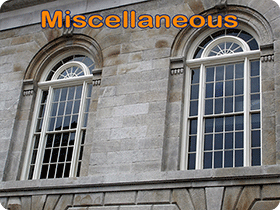 Its modular system consists of a high security cylinder lock in the front sash, an adapter in the rear sash and an interchangeable cylinder core which can be either supplied to pass or to differ. Its assembly is as fast as it is simple. 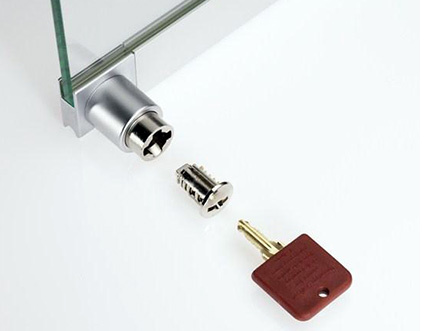 Lock and adapter have been coordinated with the runner profile in design and surface specification. 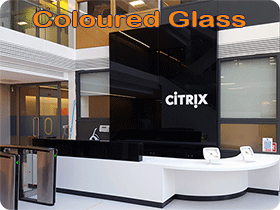 When combined with the Vitris profiles, aesthetically discerning complete solutions for interior furnishings can be realised. The dimensions and design of the finger pull handle, adapter and lock are coordinated with the Vitris runner profile and make for an aesthetically pleasing overall appearance. 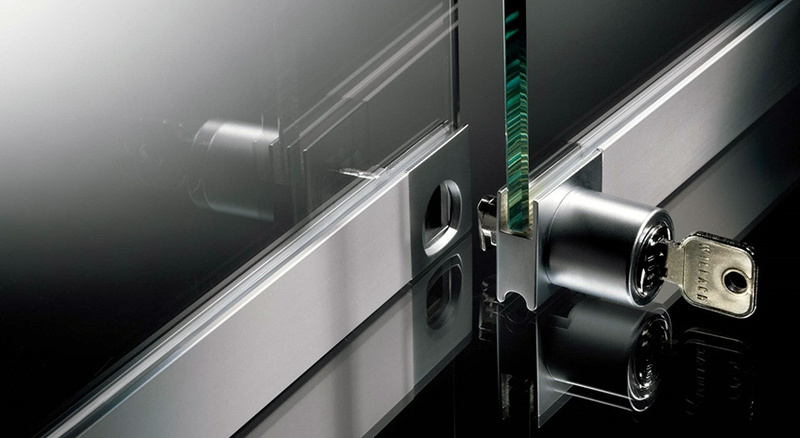 The Secura security cylinder glass door lock at an ergonomic height provides for the greatest security and prevents the glass doors from being pushed apart half-way up the sash. Non-manipulable design The special design with a knurled surface prevents the lock-housing from being twisted on the sash. The universally usable cylinder core is suitable for all Secura lock type and can be supplied either to pass or to differ. The cylinder core can be easily substituted with the dismantling key. Security dead bolt mechanism with the patented Secura dead bolts mechanism, an L-cam in the front sash interlocks with the adapter of the rear sash, thus preventing the sashes from being pushed apart horizontally. 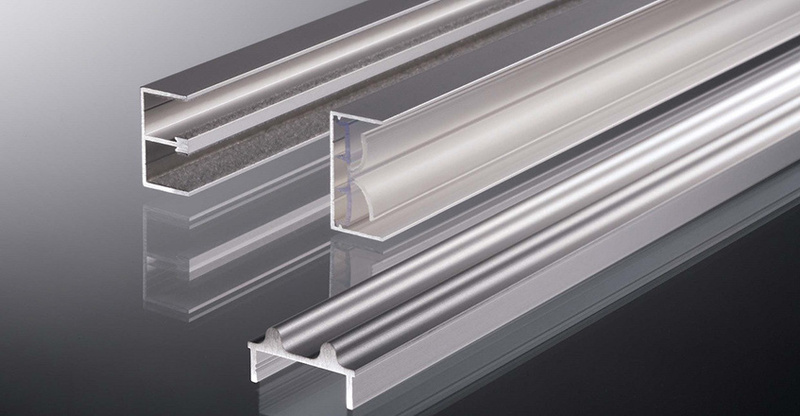 Robustus is a fittings system for glass thicknesses from 8 to 12 mm. 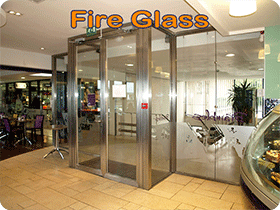 It can be used in a range between 70 kg (2 rollers) and 140 kg (4 rol-lers) and is therefore also suitable for security glass. 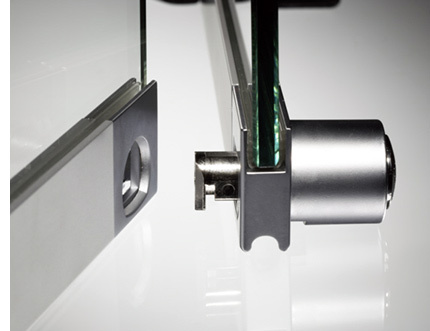 The option of a lateral frame profile section with damper profile protects the glass at the edges and stops dust. 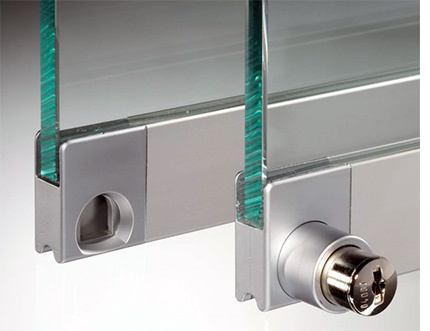 Adjustable end position damping devices stop the glass from striking the lateral frame and at the same time prevent it from being lifted off. All the other quality characteristics correspond to those of the Supra range. 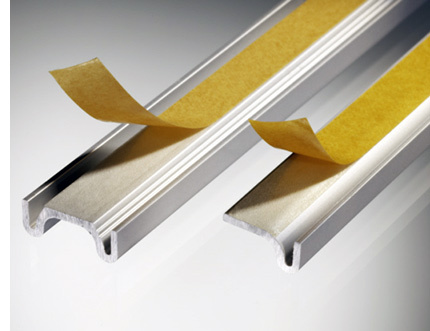 The Robustus frame profile sections enable the flush assembly of the sashes and runner profiles. The Robustus roller technology allows for a load of up to 70 kg with 2 rollers and up to 140 kg with 4 rollers.